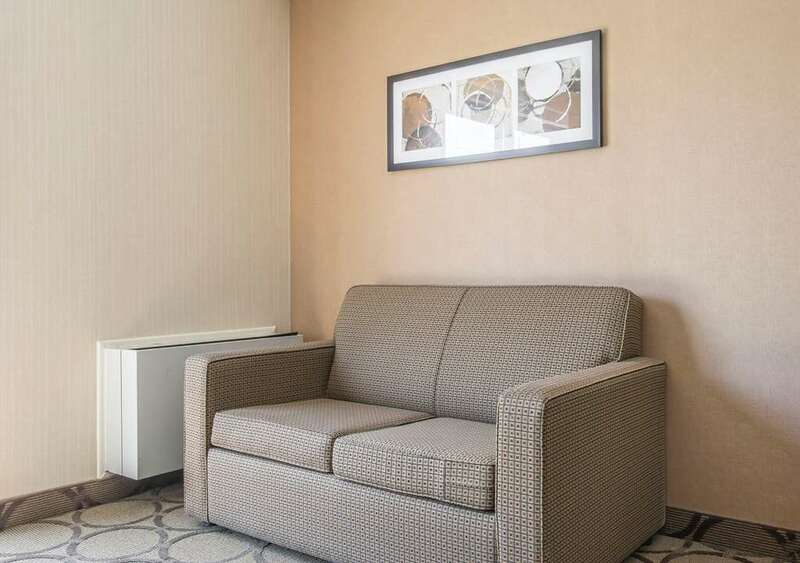 Get rested and ready for anything at the pet-friendly Comfort Inn hotel in Sherbrooke, QC near the Sherbrooke University. Our smoke-free hotel is also near attractions like North Hatley, the Mont-Orford National Park and Lake Memphremagog. Prepare for a successful day ahead with such amenities as free hot breakfast, free WiFi and copy and fax services. All spacious guest rooms and suites have refrigerators, microwaves, coffee makers, irons, ironing boards, hair dryers, TVs and more. Behind every great day is a great night at Sherbrooke hotels like our Comfort Inn. Book now. Pet accommodations: 30.00/stay, plus taxes. Limit: 1 pet per room, under 40 lbs.